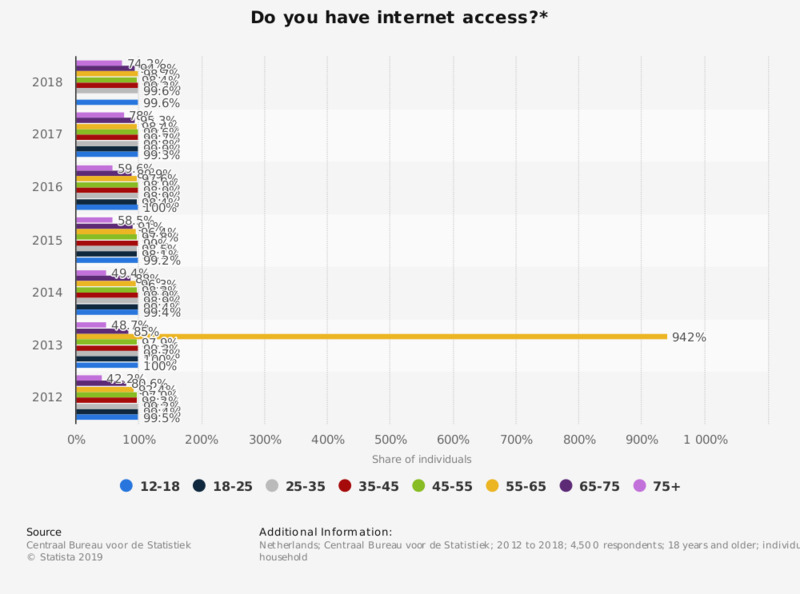 This statistic shows the replies to the survey question: "Do you have internet access? The statistic shows the share of individuals with internet access in the Netherlands from 2012 to 2018, by age group. As of 2018, 99.6 percent of 25 to 35-year-olds from the Netherlands said they or someone in their household had access to the internet. * This question was phrased by the source as folows: "Did you or someone else in your household have access to internet?"